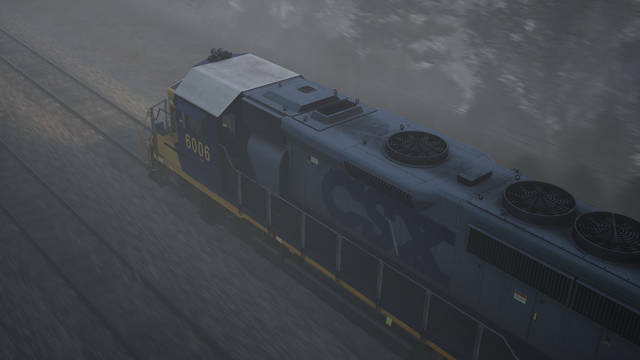 Electro-Motive produced its landmark line of 'GP' (General Purpose) locomotives, nicknamed 'Geeps', for more than half a century in a monumental production run that exceeded 16,700 locomotives. 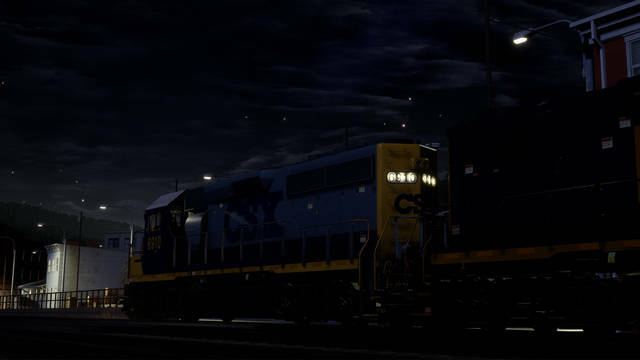 Arguably the ultimate edition of the Geep road-switcher was the GP40-2 and now this famed diesel workhorse comes to Train Sim World in classic CSX 'YN2' livery! 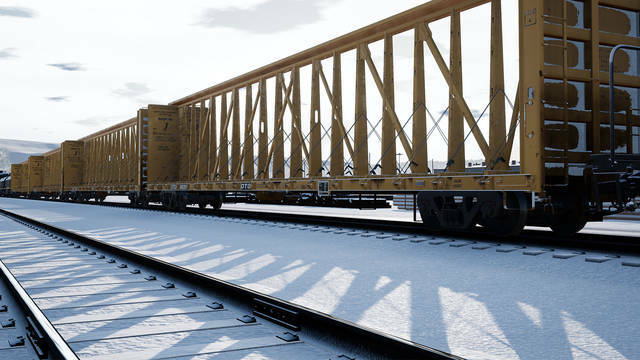 The four-axle (B-B), 3,000-horsepower GP40-2 was constructed by Electro-Motive from 1972 to 1986, sold to 27 original railroad buyers, and enjoyed a production run of 1,143 units. 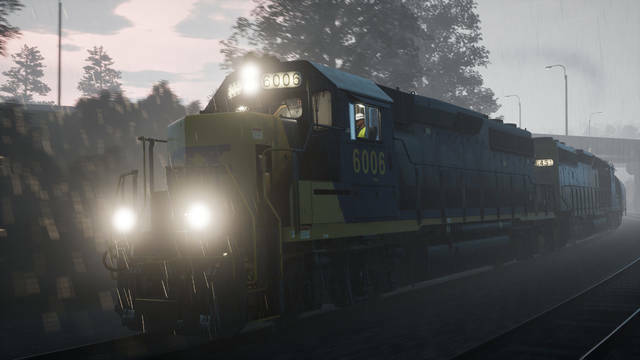 As the 'Geep' little sister to the famed six-axle SD40-2, powered by Electro-Motive’s highly successful and reliable V-16 645-series power plant, and equipped with EMD’s 'Dash-2' technology, the GP40-2 was considered by many as the best among EMD’s long lineage of Geeps. 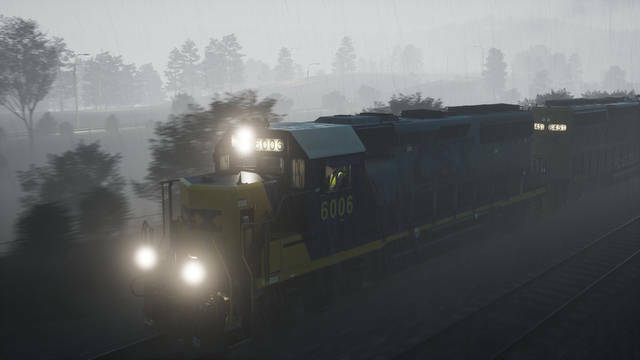 Today, more than four decades after its introduction, the GP40-2 can still be found working in numbers for the likes of CSX, Norfolk Southern, Union Pacific, Kansas City Southern, and a variety of U.S regional railroads. 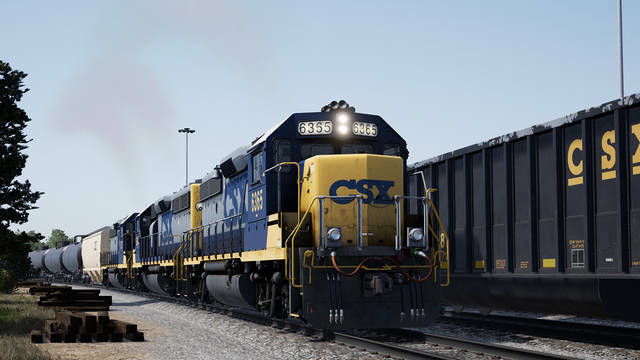 Today, CSX continues to employ a large fleet of veteran GP40-2s in road, local, and switching duties across its system. 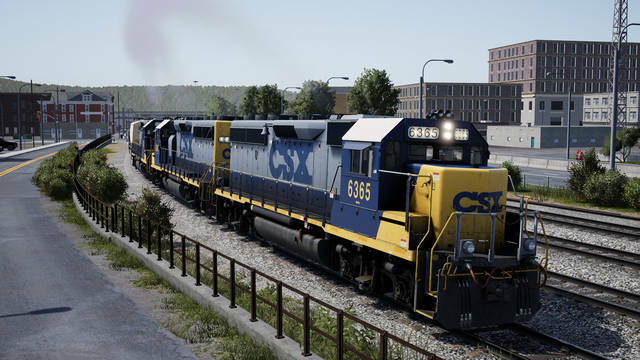 And now the successful Electro-Motive GP40-2, in classic CSX 'YN2' livery, comes to Train Sim World: CSX Heavy Haul, accompanied by two new modern freight cars, a 73-foot centerbeam flatcar and a CSX 42-foot steel coil car. 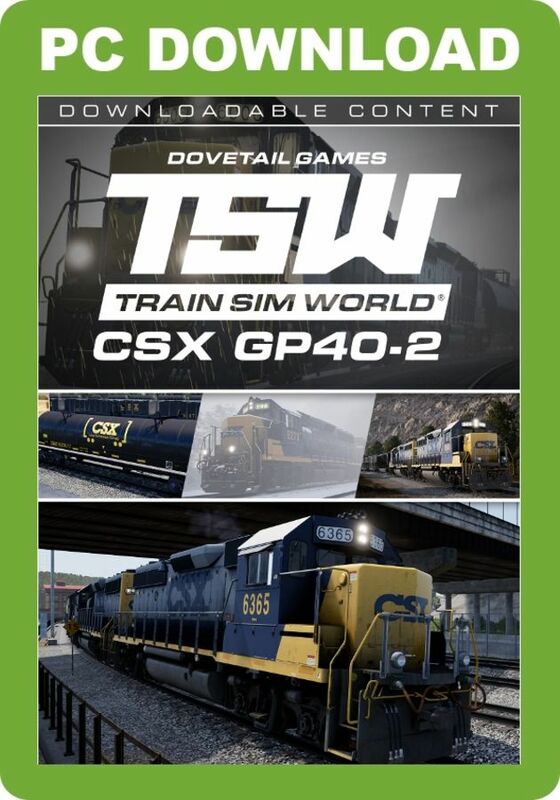 Note: Train Sim World: CSX Heavy Haul is required, as a separate purchase, in order to utilise the content featured in this add-on. 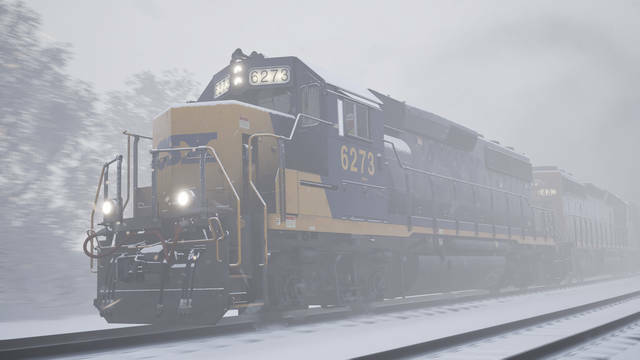 This TSW add-on brings you the GP40-2 model of Electro-Motive's famed 'Geep' diesel workhorse in the classic CSX 'Bright Future' YN2 livery, with highly authentic operating characteristics and interactive controls. 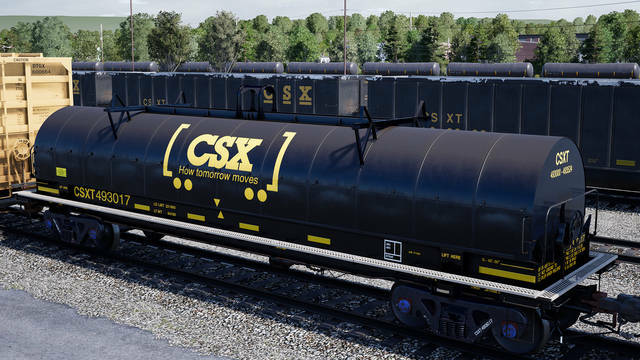 Also included are an interactive tutorial, three challenging scenarios, a 73-foot centerbeam flatcar and a CSX 42-foot steel coil car. 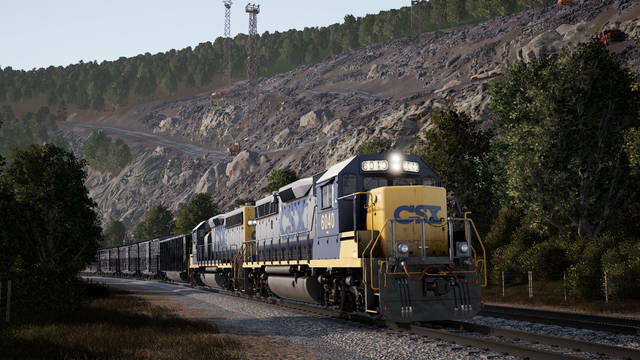 The GP40-2 is operable in Service Mode with more than 20 services to take control of.